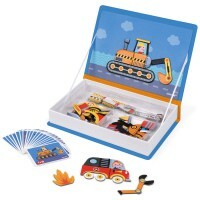 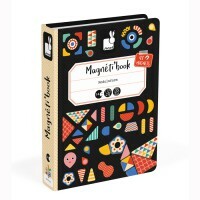 Styled like a book, this sturdy magnetic box sits open for ease of use. 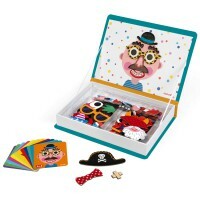 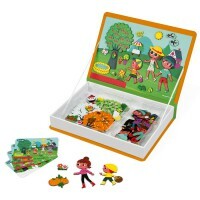 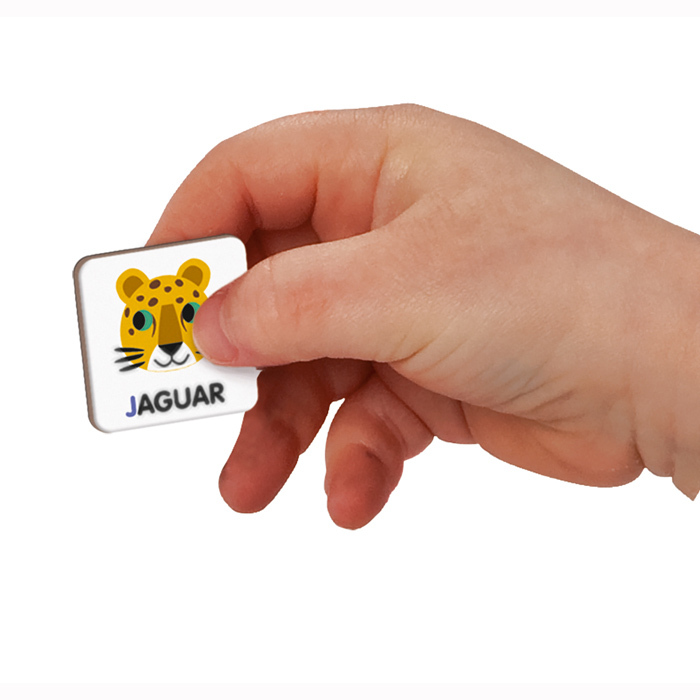 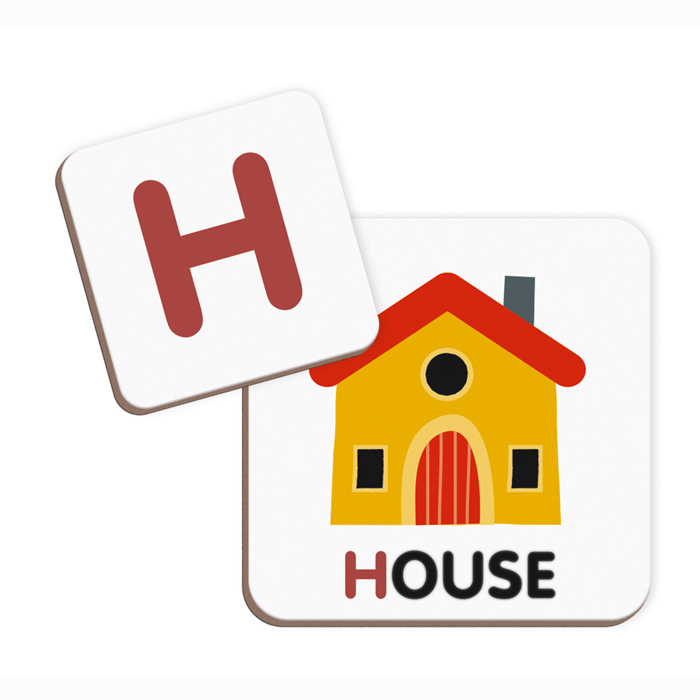 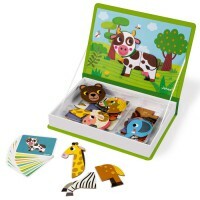 Choose one of the cool illustration magnets and then spell it's name with the alphabet pieces. 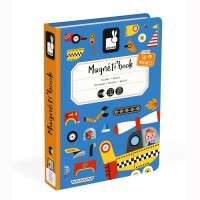 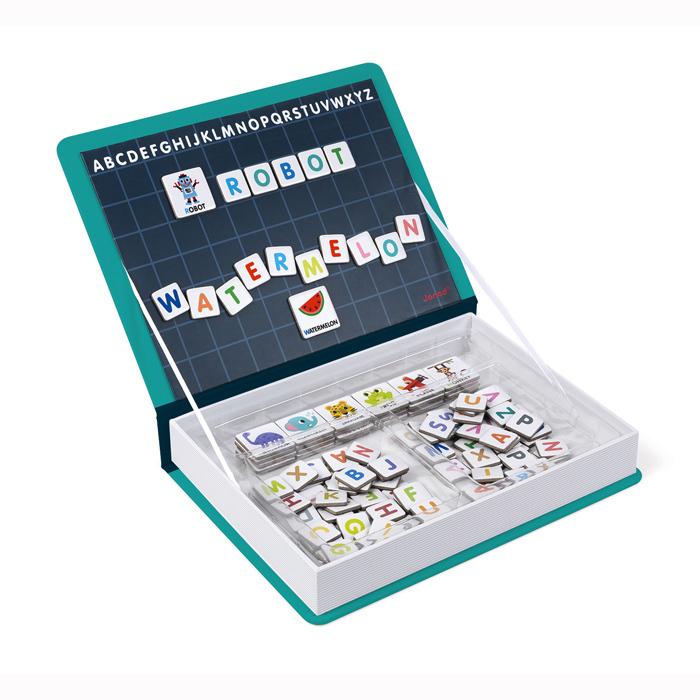 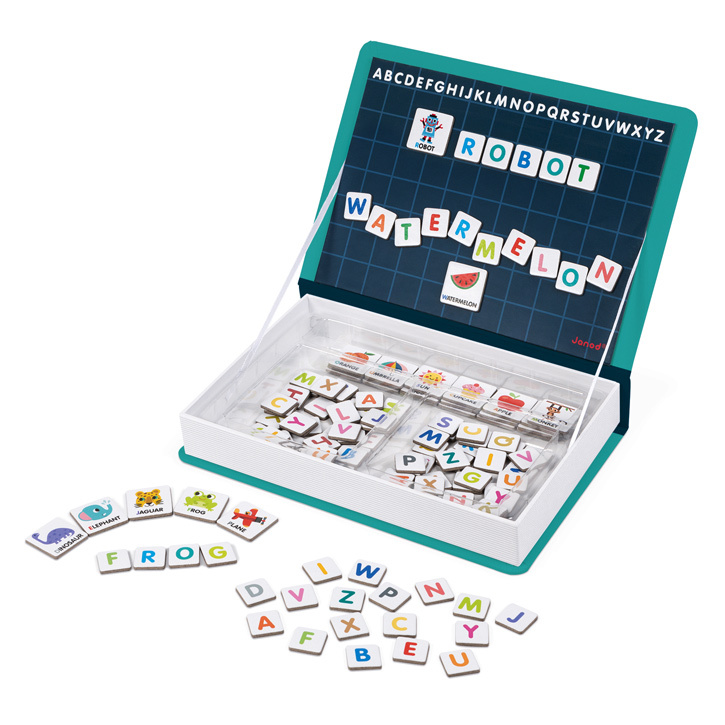 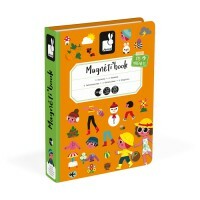 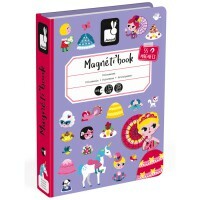 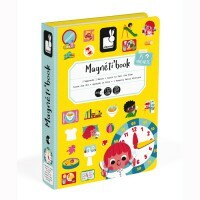 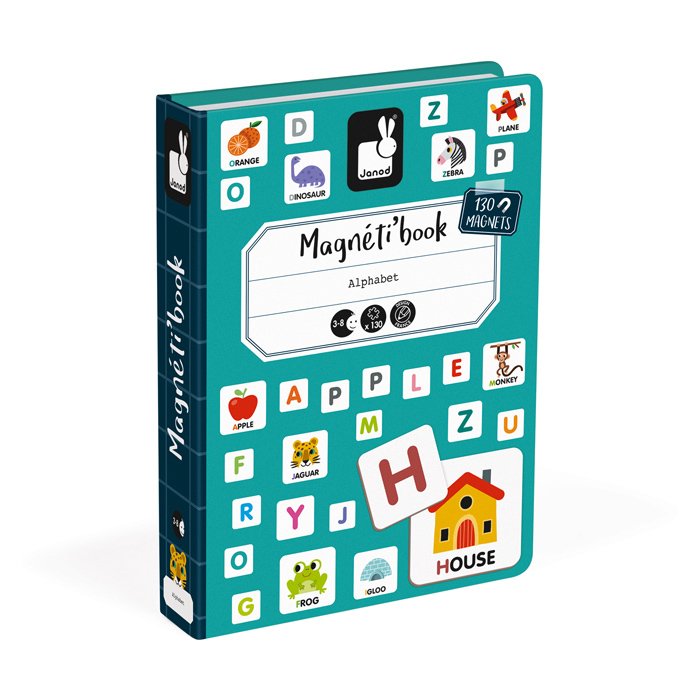 The Alphabet Magnetibook is small enough to sit on your lap and because it is magnetic it is great for travel. 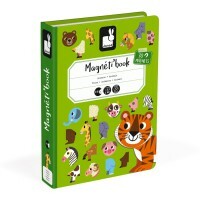 Once play is finished, just close the lid and pop the magnetic book on the bookshelf. 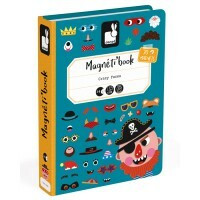 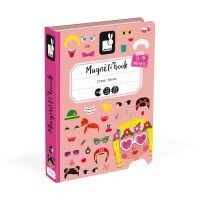 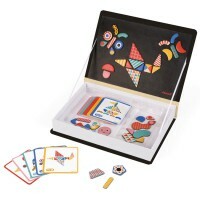 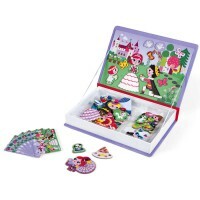 Comes complete with 26 illustrated pieces and 104 letters and is one of several to choose from in the Janod Magnetibook range.